First Nations’ Emergency Services Society of British Columbia (FNESS) is incorporated under the Society Act of British Columbia. The FNESS mission is to assist First Nations in developing and sustaining safer and healthier communities by providing the programs and services described in their website. They provide information and training in Fire Services, Forest Fuel Management and Emergency Management. 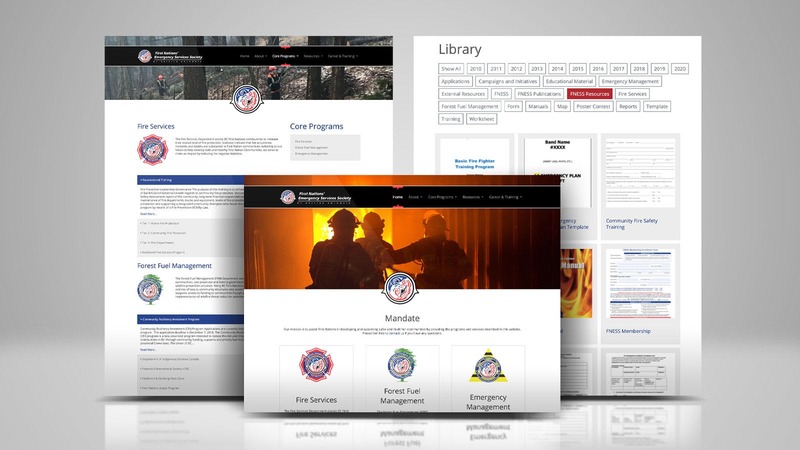 Animikii helped redesign their website and create a resources library to share all of the documentation, applications and manuals needed to train, develop and sustain safer and healthier communities.